Currently based in Nottingham, England, I am an aspiring games developer striving to work on exceptional games both on my own and with friends. Excelling at C++, I have extensive knowledge on engine development, integrating rendering, physics, and even shaders into my own homemade engines.have experience with working both engine and game design. Having experience using Unreal Engine in team projects during games jams, I've worked on numerous games with groups of other individuals. With ambitions to get my foot in the door and begin my career, I am currently looking for internships and job openings within the games industry. Being born in Beijing, China, I have travelled my entire life with my family to various places, including Germany, France, Turkey and Thailand. My childhood involved playing online games with my friends in the States late at night, and as such my ambition for programming started with video games. Once I started programming, I realised that I enjoyed making games for others to play more than I did actually playing, and I persued this to where I am today. My hobbies include travelling the world, cooking for friends and playing video games. 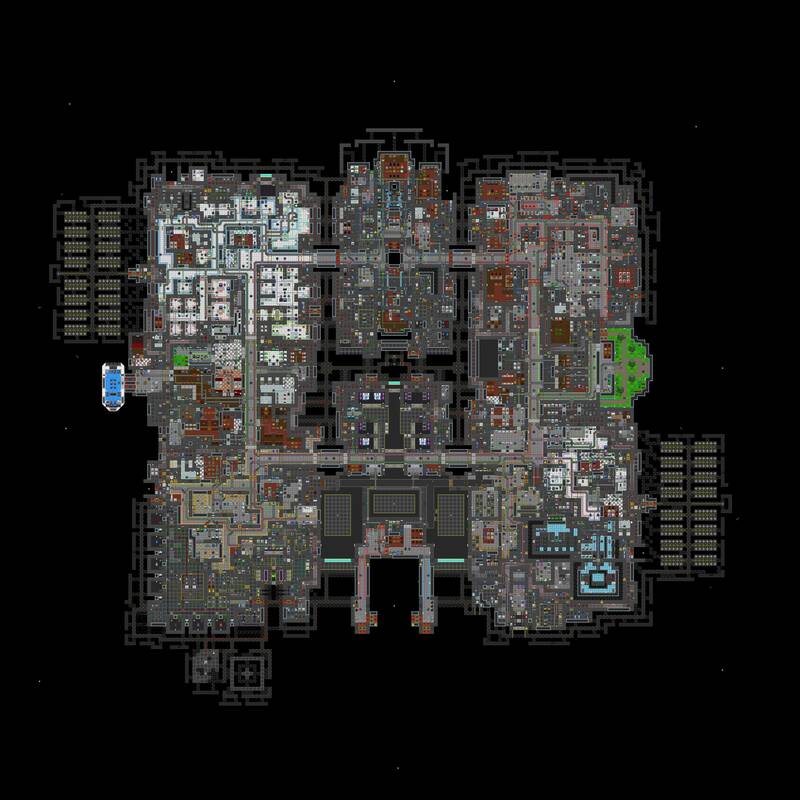 Initially introduced to the game as just something to play during my off-time, I quickly realised that my time spent within the Space Station 13 Community could also be used developing for the game itself, and I quickly learnt the ropes of the engine's language and interface. Working for several of the large communities, I worked on large-scale maps for months on end, taking into consideration every little detail within areas with player interaction, to ensure that all the possible scenarios could play out perfectly. In my current community, Baystation12, I've strived to bring a better experience for everyone by working on redesigning areas within the map, focusing on gameplay and balance changes, as well as introducing newer art assets to the table. My time within the community quickly switched to developing for the game far more than actually playing it, and I enjoy it being that way. Having to speak to and recieve feedback from large quantities of players, I always keep them in mind when bringing balance to the game. You can view my contributions to my current community here. You can also view the level I created entirely by myself here. My final year project, being a dungeon generator developed in C++ using OpenGL. This ambitious project will be my first fleshed out games engine used to generate a sci-fi dungeon using component-based entities. Completed for my FYP submission, I am continuing to work on this project to turn it into a fully playable game. 3D art assets created in collaboration with my friend Archie Whitehead that are loaded in via ASSIMP. Procedurally generated dungeons with rooms that are defined via walls and floors along a grid, stored via pointers within list structures. Once the engine itself has been finished along with dungeon generation in April I intend on continuing within my own time to turn this into an actual game with objectives, loot, and enemies. As the final submission for my main third year module (IMAT3606 Advanced Games Programming), I worked alongside 3 team members to develop a playable game within our own OpenGL engine. Split into several tasks, I was in charge of physics implementation. In order to do this I introduced the Bullet physics library into our engine. SpaceLoop is a side-project currently being worked on by both me and my friend Archie Whitehead that features a fast-paced spaceship dodge 'em gameplay involving avoiding obstacles and enemies while flying through a ring world in space. The project is being developed in Unreal Engine and will utilise C++ elements in order to supplement blueprint assets. Currently, the game features a fleshed out biome-picking system that places track segments in order while swapping between a list of biomes after each length of segment, as well as a completed ship player controller. The ship has the ability to speed up and slow down, as well as the ability to roll in order to squeeze between obstacles. As my final submission for my third year module IMAT3111 Shader Programming, I had to create several shaders capable of performing different levels of depth. Using textures provided, I was able to implement an interpolated steep parallax shader which turned very pleasing. With my group for this year only consisting of 3 first year programmers besides me (being a third year) I had the opportunity of managing a small team of my own programmers. With the theme of "Reflections", I was able to distribute work load of programming tasks to each member of my team so that we would fulfil all of our project objectives before the 48 hour deadline. With the theme "Reflections", our game was an endless side-scrolling platformer about a sprite named Picabo reflecting on the seven stages of grief, with each stage of grief being a different biome of platforming. Each biome featured different art, backgrounds and obstacles. The project was created in Unreal Engine. I developed the track generation for the game, using a system that switches between random biomes of tracks once a certain biome length threshold had been met. Completed in my second year of Computer Games Programming at De Montfort University for coursework, this pong clone was created using C++ with SFML and Box2D. Being another games jam, with the theme being "Potato", our team created a temple-run style game in which you are a potato, in a world made entirely of potatoes. The game involved jumping over several obstacles such as knives, forks, and deep fryer pits while picking up different power-ups that sped the game up to an extremely difficult pace. Run, Potato! was created in Unreal Engine. I was in charge of developing the endless track generation that would pick from a list of track pieces. Being my first ever Global Games Jam, Tutankhaboom was a game created in Unreal Engine for the theme "Ritual". It featured a core defence mechanic in which mummies would spawn at random locations of the map and try to destroy the sarcophagus in the centre of the map. The player could shoot the mummies to stop them. With only myself and a friend as first year programmers, this games jam was extremely stressful, spending every hour watching unreal tutorials on YouTube at 2x speed while handling engine crashes before we finally submitted for the deadline. Along with us, we also had two third year artists who created all of the art assets. Being my first ever time using unreal engine ever, I had to spend 24 hours to learn blueprint code in order to develop the game. I think this truly demonstrated my passion for making games considering I didn't sleep much at all over the 48 hour period.